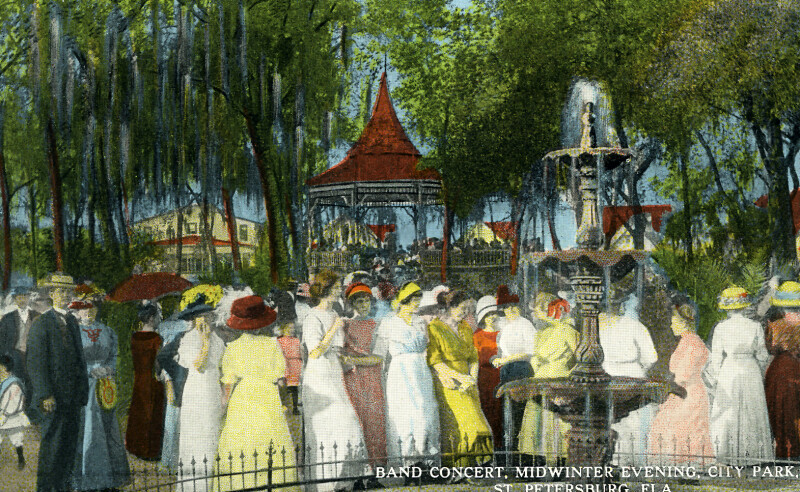 In the foreground, a group of fashionably attired ladies are socializing around a fountain with a circular pool. A low, wrought iron fence prevents people from sitting around the fountain's pool. In the background, there is a gazebo full of musicians.